City need a point to clinch a place in the knockout phase for the sixth year running. Young gun Foden set to start. MANCHESTER: Manchester City manager Pep Guardiola has warned the Premier League leaders that they still have work to do as they attempt to seal a place in the last 16 of the Champions League on Tuesday. City will clinch a place in the knockout phase for the sixth year running with a draw at Lyon, while victory would wrap up top spot in Group F with a game to spare. Guardiola’s side suffered a 2-1 loss at home to Lyon in their opening game in September, but City are firmly back on track after winning 12 of their previous 13 matches since their lone defeat of the season. “When you lose your first game at home the group stage becomes so tough. We did our job winning the next three games and now we try to avoid arriving in the last game needing to win the game to qualify,” Guardiola said. “If you make one or two mistakes you can be out. It’s so dangerous this competition,” he added. “It’s not done until it’s done. We’d like to avoid that pressure to play against Hoffenheim in the final game. City left for France without Bernardo Silva, Gabriel Jesus or Ilkay Gundogan due to injury concerns, and highly-rated 18-year-old midfielder Phil Foden could be in line to start. 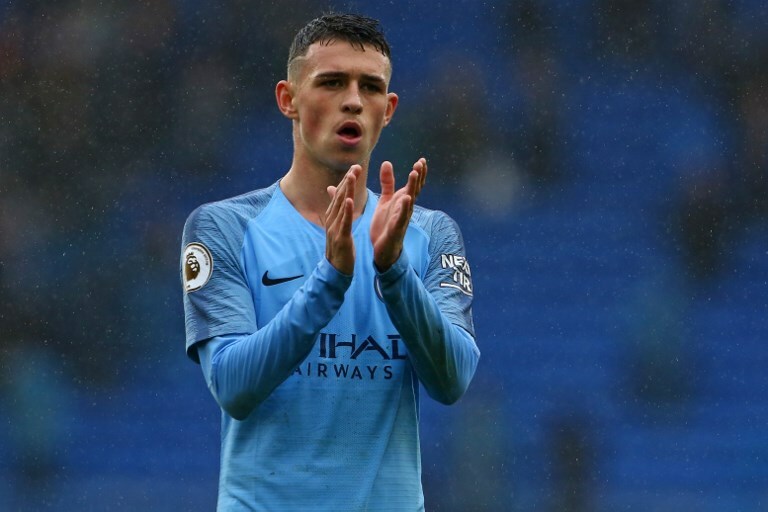 Foden has made just a handful of appearances as a substitute for City in the league and Europe, but Guardiola had no doubt the teenager would rise to the challenge. “He’s stronger and more conscious that he’s able to play with us without a doubt,” said Guardiola of Foden’s progression this term. Phil Foden is highly rated by City coach Guardiola. Center-back Aymeric Laporte will return to his homeland as an established figure in the City defense, in contrast to his continued absence from Didier Deschamps’ France squad. Signed for a then club record £57 million ($73 million) in January, Laporte took time to settle in his new surroundings with all three of his Champions League outings last season ending in defeat. But the 24-year-old was the beneficiary of a full pre-season under Guardiola after being overlooked for the World Cup, and he is City’s only outfield player to have played every single minute of Champions League and Premier League action this campaign. “We try to learn day after day and that’s exactly what I’m trying to do to ensure that I earn Pep’s confidence,” said Laporte. His lack of international commitments has afforded Laporte ample time to recover and allowed him to devote his undivided attention to helping City on all fronts.